… that’s business class …. 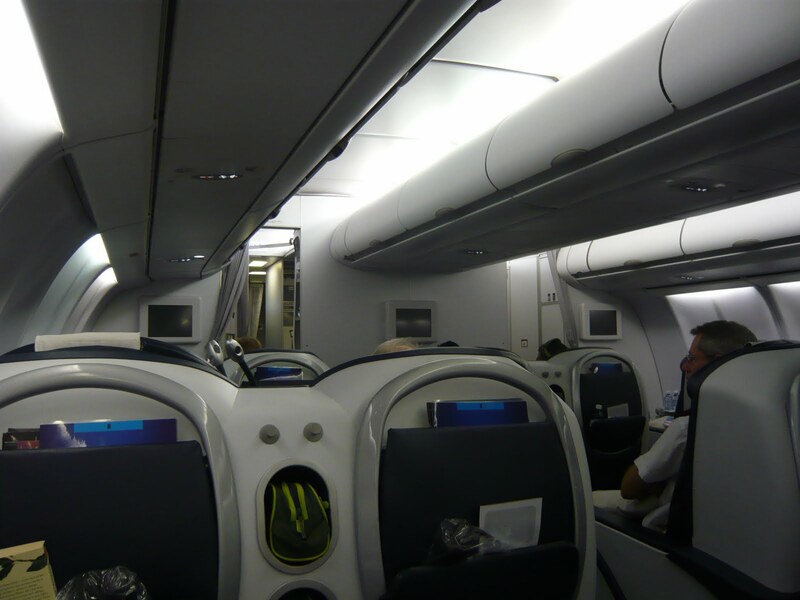 which is normally seen from this angle by the ‘masses’ who travel in ‘cattle class’ .. but my hubby, like most business people, travel business class .. so they arrive refreshed after a good nights sleep, or a pleasant days journey … ready for work ! I have been very very fortunate to have experienced it too .. twice !!! 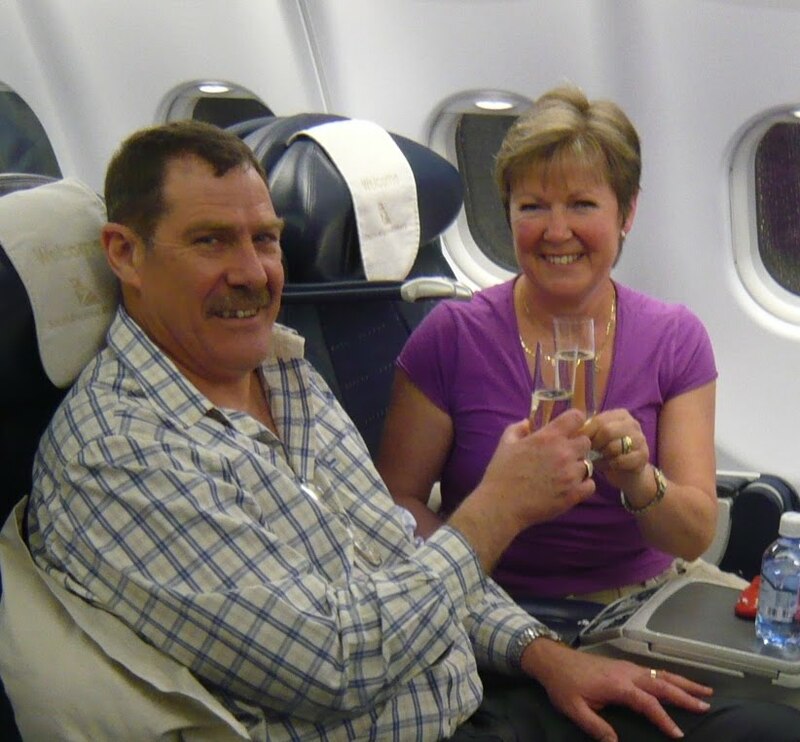 Using voyager miles he has accumulated over the years enabled us to upgrade our tickets for our overseas flights so that I too could ‘travel in comfort’ … ahhhh .. what a pleasure !!!! .. little night lights …. … ‘comfort buttons’ !!! … for the already comfortable .. large … chair … like a little space module !!! Especially when the foot rest goes up and the back rest goes down !! …. and the duvet is unfolded and handed to you from a smiley air hostess !!!! 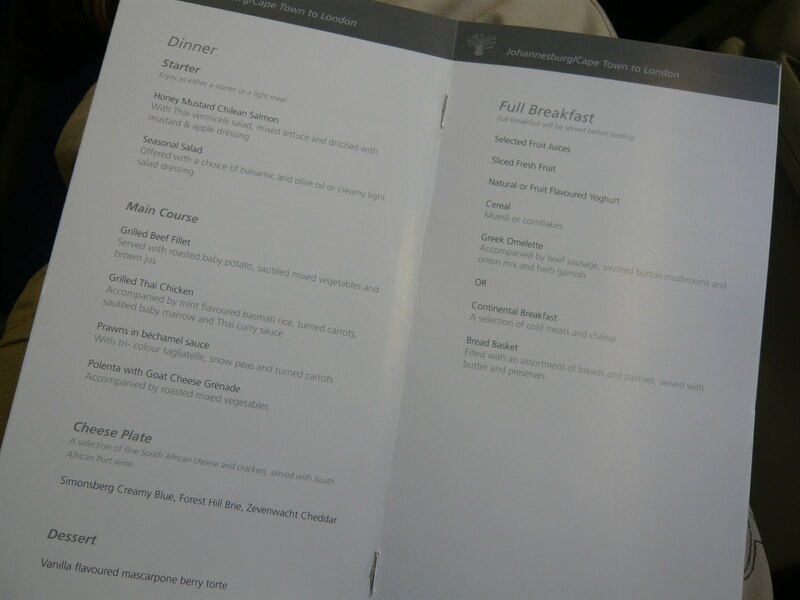 Flight under way … and orders are taken from the menu .. by another smiley cabin chappie/steward !!! .. and just look at that … little table cloth … WHITE and crisp linen !!! … equally white, crisp linen napkin in serviette ring (a paper one, but they are forgiven for that!) … real knives and forks are folded inside the said napkin … and this is only the starter !!!! … munch .. munch … food on little trays attached to your own chair .. not the seat in front … and legroom .. enough to ‘swing a cat’ !!! That little round tube looking thing near the water bottle and my yummy glass of wine is the TV screen which slides up and around … which I didn’t take out at all .. so busy watching what everyone else was doing !!! well .. and I had a book !!! 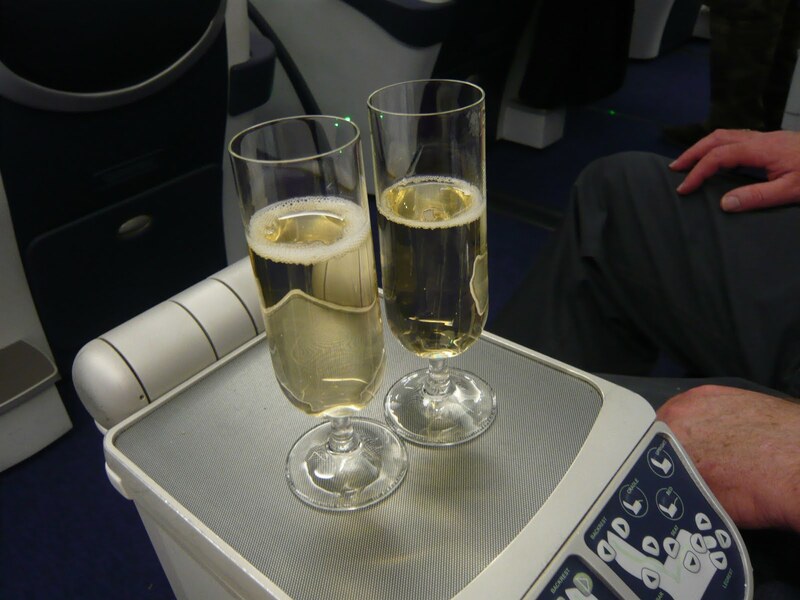 Cheers … to more travels … more comfort travels would be good too !!! OOOOOOH wow!! you lucky thing. Looks so comfortable. I have only travelled in the cattle class!!!! Oh to travel in such comfort! What a pleasure! wow Avril….we did get lucky on the way back from Vegas and get front seats with lots of leg room…. You're one lucky traveler! The food and the glass of bubbly look very appealing to me, but that seat looks mighty comfortable too! *sulk* Just flew back to PE from Jhb yesterday in cattle class. I can only dream of business class. Maybe one day.